The official Star Wars YouTube account is now live streaming their Star Wars: The Force Awakens Global Toy Unboxing Event. This, over, 18 hour event will cover 12 countries. 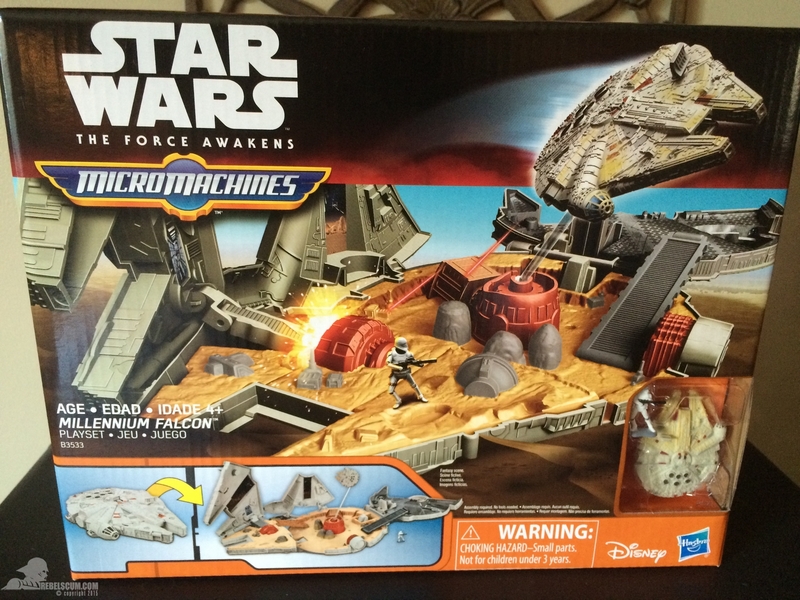 This will give us our first “official” look at the Star Wars: The Force Awakens toys, action figures and collectibles. Plus there will be general talk about Star Wars. The full Live Stream schedule can be seen HERE. Check out the live stream below to see what’s going on right now. HAha, so much for that Force Friday street date. Wanna bet someone got the month wrong and put them out?? I loved my micro machine sets back in the day. This makes me excited for the line. Hehe. Could be an error for sure. Have you spotted them or anything else? You're our resident eagle eyed arker. You spot some stuff before I even know it exists. This is delightfully nostalgic, holy crap. Too bad those new titaniums are less detailed than the original Micro Machines. Awesome, so excited for new MicroMachines. Hopefully they are a big enough success that Hasbro expands them to Marvel and other toylines. 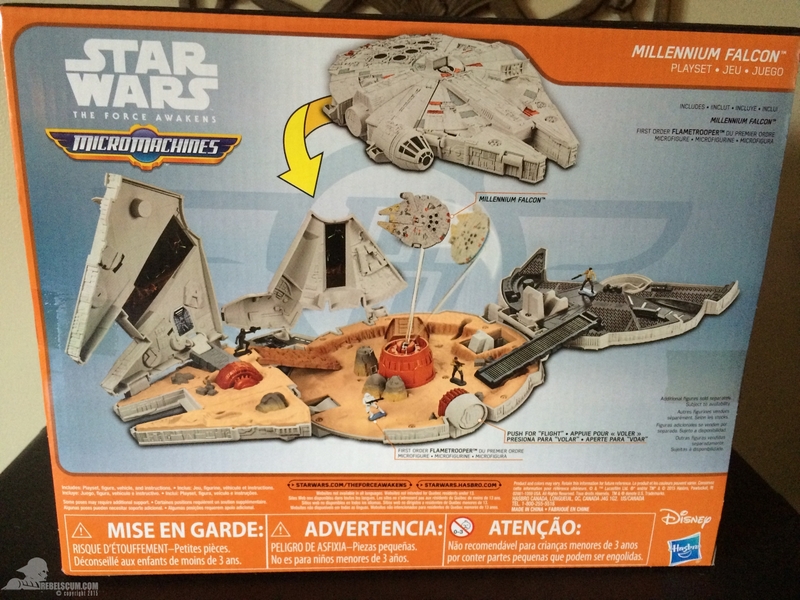 Those playsets have always been the best part of the toy lines. I've looked at many custom figures of Kylo on ebay. I never saw any with that type of sword. They all look the same. Seeing the use of quality soft goods, the likeness, and that(very unique light saber)I say it's legit. There would be no reason for a customizer to make a light saber like that IMO. Hell yeah, the MCU Micro Machine style. I'd put them on my Hasbro Helicarrier. Loved Micro Machines, I was never keen on the opening head playsets though. I much prefer the regular ones. Same goes for things like the Death Star that had Tatooine inside. Why couldn't it have.. I don't know... the Death Star interior? The Kylo Ren and Finn figures do seem to match that leaked photo of the 6" prototypes. The details in Finn's jacket in particular seem like an exact match. Don't really know why people are questioning the validity of the picture. We all know that this character will get a figure soon. The lightsaber looks really good, and is a beautiful interpretation of what it actually looks like. If that is not legit, that is a damn fine custom. Damn, those look great. The First Order Stormtrooper translates as a POP really well, need that and/or Phasma right now. Is that Chewbacca the exact same as the Black series one that's already been released? I can't see any difference. Probably minor differences. This was the leak fro ma few months ago showing chewie with the rest. Yeah it just looks like the mouth is more closed and he has a slightly new bandolier but the bag itself looks the same. Lacking any special movie context, the Finn and Ren figures leave me cold. Still waiting for General Grievous. The Pop figures look good. If I get any of them, it'll be Captain Phasma and maybe the Snowtrooper. Seller, in the US even, sold a Kylo Ren 3.75 figure for $100. First look at the packaging, which is actually quite nice. I love the idea of a buid-a-whatever, but I can't figure out what you are building in this situation. Based on the packaging it looks like it will be thier main line, but it only has 5 POA.